NSK will be showing a full range of production-improver bearing products at Hillhead 2102, for use on all areas of quarrying and extraction equipment, including conveyors, screens, crushers, cranes and mobile gantries. Three types of spherical roller bearings are being shown: the long-life VS-series bearings that offer twice the service life in vibrating machinery; sealed-clean SRB that combine high levels of ingress protection and operating reliability to extend equipment life in demanding applications; and the extended range – up to 260mm bore – of HP SRB. 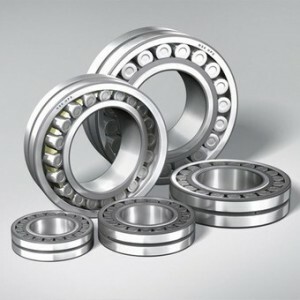 These bearings offer twice the lifespan and a 20% higher limiting speed, compared to conventional spherical roller bearings. NSK’s VS series of spherical roller bearings are designed specifically to provide improved bearing life in vibrating applications, on quarrying equipment such as screens, feeders and compactors, reducing levels of both vibration and noise by between 50-60%. The vibratory specification of the VS series provides increased fatigue strength against the effects of vibration and shock loads conditions. The bearings are manufactured from high cleanliness steel to improve their operating life and are equipped with machined brass cages to combat the effects of vibration, operating fatigue, wear and corrosion. Where the problem is more environment related, NSK’s sealed-clean SRB combine high levels of ingress protection and operating reliability with long-term maintenance- free operation. As a result, they help to extend equipment life in demanding environments, where contamination or lubricant loss might otherwise cause premature bearing failure. For demanding operations on larger equipment, NSK will be showing their expanded – (up to 260mm) bore – range of spherical roller bearings. These bearings provide users in tough, demanding environments with continuous operation and minimum maintenance. Fully optimized and uprated, the HPS bearings offer twice the lifespan and a 20% higher limiting speed, compared to conventional spherical roller bearings (SRB). These performance advantages translate into user benefits, such as cost and energy savings and reduced bearing maintenance. Also being exhibited on stand P45 will be NSK’s RHP range of Self-Lube housed bearing units, designed to help users cut build and maintenance times by reducing bearing complexity and mounting costs. These products are complemented by a range of NSK SNN sealed plummer blocks that are a new addition to the NSK range. Designed for easy fitment on conveyors, feeders and general handling equipment, NSK’s sealed plummer blocks provide the reliable operation demanded in quarrying and mineral extraction applications. They offer a robust construction that includes housings of cast iron or pressed steel, high-capacity deep-groove ball bearings, high-efficiency steel-reinforced seals and cast iron bearing covers for added protection against dust. At Hillhead 2012, NSK will also be addressing the tough operating conditions of bearings used in crane sheeves, with a new range (bore sizes up to 130mm) of high-load, full-complement cylindrical roller bearings. The bearing’s high-load capacity and advanced levels of sealing also mean that they are suitable for use in the wheels of mobile gantries and wagons used in quarries.